Euler Hermes has reportedly withdrawn credit insurance from another struggling high street store. According to the Sunday Times, the Allianz-owned insurer cut its insurance to suppliers of Monsoon Accessorize after concerns over its trading performance. The retailer is closing stores across the country in an attempt to return to profit after its parent company reported a loss of £12.6m last year. Earlier this year it had 187 stores and £258m of rent to pay. Euler Hermes refused to confirm the withdrawal. This is not the first retailer Euler Hermes has reportedly withdrawn from. In early November, it reportedly withdrew from Footasylum over trading concerns. It has also reportedly reduced or withdrawn cover from Debenhams, New Look and Maplin. Again, Euler Hermes refused to confirm or deny the moves when asked. But, a spokesman for the company did voice concerns for the current rate at which claims across the whole company are increasing. Speaking to Insurance Times, he said: ”Claims across the company are increasing around 30% year on year. The current level of claims we are experiencing is the worst it has been since the last financial crisis. When an insurer cuts the credit insurance to suppliers, the suppliers are more likely to demand payment for products upfront, putting more of a financial strain on the retailer. Despite the continued reports of withdrawal, Euler Hermes says its approval rating ”hasn’t taken a hit” with customers. 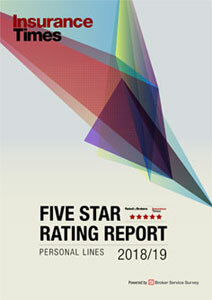 Its spokesman said: “We still have a very high approval rating from our clients, despite these reports. It (the rating) is only down 2% from last year. “It’s good to remember that cover limits go up as well down! 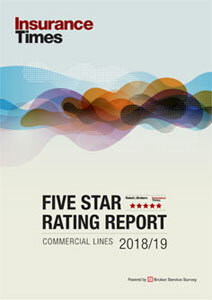 We remain a major provider of cover to this sector, against a backdrop of retail sales which have faltered generally this year and a number of high profile, high street CVAs. And, the company says it is still writing plenty of new business. “Monsoon has a strong balance sheet with significant cash reserves and no debts.